Oscar De La Hoya accepted the truth that he needs to enter rehab after admitting that he had some substance issues. Before he entered rehab he promised to his fans that he will come out stronger and healthier after the rehabilitation treatment. I was just wondering what will Congressman Manny Pacquiao's reaction be after he hears about this. He was the one who absorbed some substance use issues from different boxing camps but he just stayed quiet and he just let his game speak. They tried their best to shatter his popularity but they failed. Now, we have De La Hoya sharing his sad and humbling experience of substance abuse. This issue appears to be true as TMZ verified it. "De La Hoya entered a rehab facility in California sometime within the last few weeks. 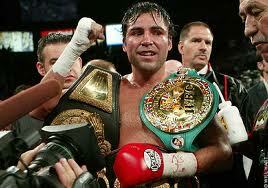 We're told De La Hoya is seeking help for substance abuse issues. A source close to the boxing legend tells us he has voluntarily commenced proactive treatment to address certain health and personal issues." Oscar De La Hoya admitted that he's facing a battle against himself. He's got my support because he's an honest person and to think that he has a lot to lose after divulging his health issues, he really has mental toughness. He probably knows that as a celebrity, substance use is very problematic and fatal if not addressed immediately. "Throughout my career and my life, I have always met all challenges head-on, and this is no different. I am confident that with the support of my family and friends, I will become a stronger, healthier person. I ask for respect and privacy as my family and I go through this process." We should all learn from this very humbling example of Oscar. He was once a very famous fighter and a celebrity but that didn't stop him from sharing his personal problems to the media and to the masses. I now have so much respect for this guy.